Everyone is not very familiar with the ventilation pipeline. The ventilation pipeline should not only be anti-corrosion and heat preservation, but also pay attention to the matters needing attention in the installation of the ventilation pipeline. (1) When the air duct is connected with the fan, a soft joint should be added at the inlet and outlet of the fan. The cross-section size of the soft joint should be the same as that of the inlet and outlet of the fan. The hose joint can generally be made of canvas, artificial leather and other materials. The length of hose should not be less than 200, the tightness should be appropriate, and the flexible hose can cushion the vibration of the fan. (2) After the double suspender bracket is in place in the airway, it should ensure that the cross-arm is straight, the suspender does not twist, and the double suspender bears uniform force. 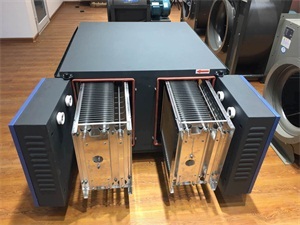 (3) When the air duct is connected with dust removal equipment and heating equipment, it should be prefabricated and installed according to the actual surveying drawings after the installation of the equipment. (4) When installing Shandong ventilation pipeline, the inlet and outlet days should be opened when the duct is prefabricated. If the outlet is to be found in the installed duct, the interface should be tight. (5) When conveying gas with condensate water or high moisture content, the horizontal pipeline should have a slope and be connected with a drainage pipe at a low point. Longitudinal seams should not appear at the bottom of the air duct during installation. Sealing treatment should be carried out at the seams at the bottom. (6) For steel plate air ducts conveying flammable and explosive gases, a cross connection shall be installed at the flange of the air duct connection and connected with the electrostatic grounding grid. (7) When the height of horizontal duct is more than 4m, the installation personnel should wear seat belts. The springboards on scaffolds or mobile supports should be fixed well, the width of springboards should conform to safety standards, and the installers on scaffolds should carry tool bags to prevent tools or electric drills from falling and injuring people. Necessity of anti-corrosion and heat preservation of ventilation pipeline: When the air duct conveys general gas, the air duct of black steel plate should be treated with rust-removing and anti-rust paint brushing, and the dust-containing gas can be sprayed with anti-wear protective layer. 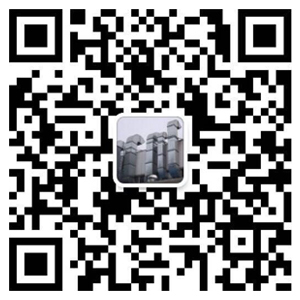 When conveying high temperature gas or low temperature air in the duct, the outer wall of the duct should be treated with heat preservation (cold preservation). When the ambient air humidity is relatively high, the outer wall of the duct needs to be treated with anti-corrosion and anti-rust. Phosphating primer or other corrosion resistant paint should be sprayed on the inner wall of galvanized steel duct conveying high temperature and humidity gas.